It is fitting that the first month of the year is named after Janus, the god of transitions and beginnings. Janus is often represented with two faces: one facing to the left, looking back on the past, and one facing right, looking to the future. As a new year begins, most people reflect on the previous year and set goals for the new one. 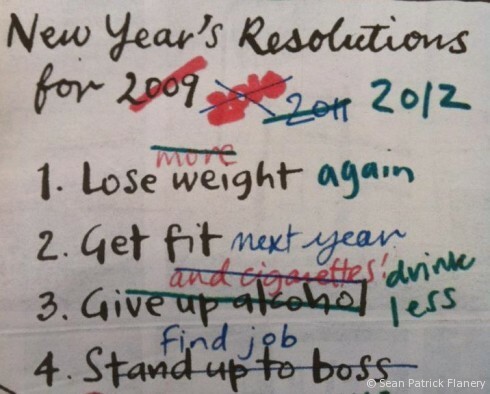 According to the University of Scranton’s Journal of Clinical Psychology, 62% of Americans set annual resolutions. Their research says 64% of those keep their resolutions past the first month of the year. Yet, by the end of the year, only 8% of those who set new resolutions accomplish them. There seems to be an awful lot of time spent on setting goals that aren’t kept. If you’re one of the 82% of people who don’t set or keep their annual resolutions, how about employing a novel approach to setting goals this year: don’t do it! In 2006 I met a consultant who shocked my socks off with his philosophy of goal-free living. Stephen Shapiro, whose book, Goal-Free Living, was published that year, said he had achieved more in his life by living without goals than when he was obsessed with setting goals. I nearly hyperventilated at the thought of a life without goals. After all, how would you know if you accomplished anything? I was the aunt in the stands keeping score while five-year olds played basketball without a scoreboard. The thought that you wouldn’t keep score in a game, much less in life, was stunning to me and I was skeptical of Stephen. If you are tired of the goal-setting treadmill and discouraged at the thought of another resolution failure, use Stephen Shapiro’s philosophy of goal-free living and stay off the goal setting treadmill for 2014. It turns out, success can happen without keeping score the old-fashioned way.